Earn £45,000 in year 1 with the UK’s leading lawn care franchise. NOW RECRUITING FOR 2018! Would you like to leave your desk behind in 2018, and get active in a high-margin industry with recession-proof demand? 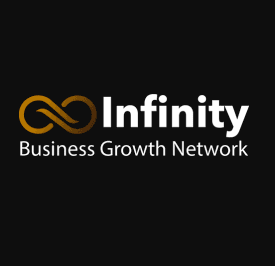 Are you looking for a franchise network with a 100% success rate and first-class support systems designed to make you more money? If so, then Lawnkeeper could be just what you need. And we’re recruiting new franchisees for 2018. Lawn care is completely unlike traditional gardening. It’s not back-breaking labour at low margins. We’re specialist lawn consultants, solving a tricky horticultural problem for domestic and commercial clients. At Lawnkeeper, we’ve spent the past 20 years improving lawns across the nation. We’re a nationally recognised brand, affiliated with The British and International Golf Greenkeepers' Association, the Institute of Groundsmanship and the British Franchise Association. In the 10 years since we started franchising, we’ve never had a franchise resale. We’re not sure if it’s our powerful national brand, our excellent support network or our recession-proof business model, but nobody in the group has ever decided to sell up. We invite you to ask any franchisee for a recommendation. “I liked the Lawnkeeper franchise as it was focused on good customer service and would be a new brand name in my territory. 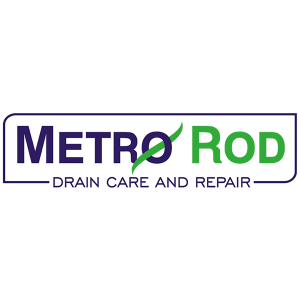 “We have been extremely pleased with the success of the business so far and have met or even exceeded the targets we set out to achieve. Learn, then earn, in just 2 weeks. We want you to start earning as soon as possible. That’s why our intensive training programme covers everything in just 14 days. You’ll earn your PA1 and PA6A qualifications and learn how to make the most of Lawnkeeper’s operational models, software & sales processes. The largest franchise territories in the industry. Our franchisee territories have been demographically engineered to help our franchisees succeed. You’ll start with a territory of more than 110,000 potential customers, and you’ll use our winning marketing strategy to secure bookings and supercharge your first year’s earnings. Industry-Leading Equipment & Materials. You’ll start off with the very best industry-grade fertilisers, herbicides, spreaders, scarifiers, soil testing kits, and aeration equipment so that you can get the job done in record time ...every time. Efficient Office Systems that save time & money. You’ll get custom-built software that plans your routes efficiently & handles invoices in minutes. Our custom quote sheets will keep you profitable. A world-class brand that wins you business. The Lawnkeeper brand features prominently on your customised van, your specialist protective clothing and all stationery. It’s a brand that stands for excellent service and excellent results ...and it’ll help you grow faster than any independent. Get in touch and we’ll send you the full list of what’s included in the package. You’ll be amazed at the value we can offer. The best business model. The happiest franchisees. The most experienced team. 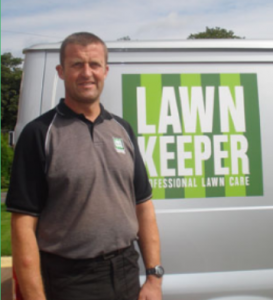 There’s a reason why Lawnkeeper is the UK’s Leading lawn care franchise. 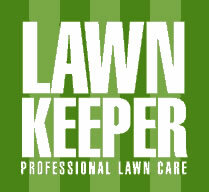 Talk to us today - we’ll show you how Lawnkeeper can deliver the profits, freedom & lifestyle you’ve been searching for. 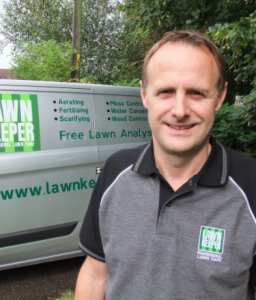 February is the perfect time to start your Lawnkeeper franchise. Customer demand swells as the weather warms up, making February the ideal startup month for anyone looking to make the most of 2018. We can get you started in February if you enquire today. TALK TO THE UK’S LEADING LAWN CARE FRANCHISE - ENQUIRE TODAY!